WE BUY all the new cuttings from several large manufacturers of high quality dresses and in this way are able to give you this assortment at a fraction of the original cost per yard. These are the season's bright new prints and all of soft firm weave. There is a selected variety of patterns and all are absolutely color-fast. 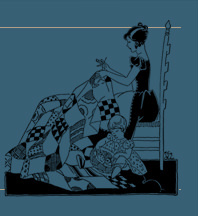 Each packet includes one exact cutting pattern of a popular quilt design and contains about a half pound of materials. If you send for a trial packet you will be ordering more. No. 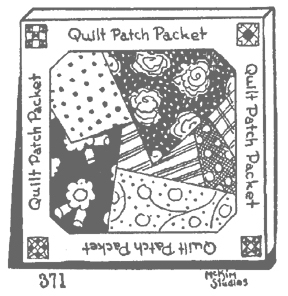 371 Quilt Patch Packet, 30 cents.